Senior man with medicine bottle. 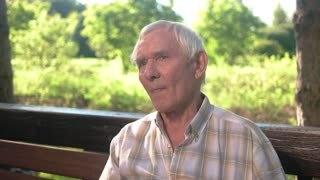 Face of an elderly male. Blood pressure has increased. Problem with health. Elderly man holds his head. Senior male has headache. Impact of constant stress. High blood pressure. Elderly lady has headache. Woman eating a pill. Drug that quickly eases pain. Reliable protection of your health. Senior woman rubbing temples. Lady has headache. Symptoms of hypertension. Consequences of stress. 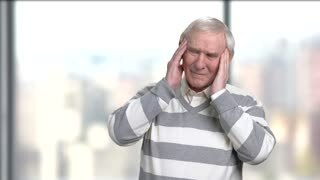 Senior stressed man suffering from headache. 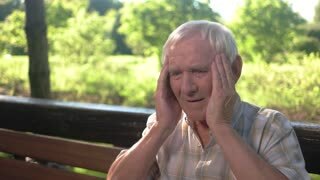 Elderly man rubbing his temples having a headache, blurred background.